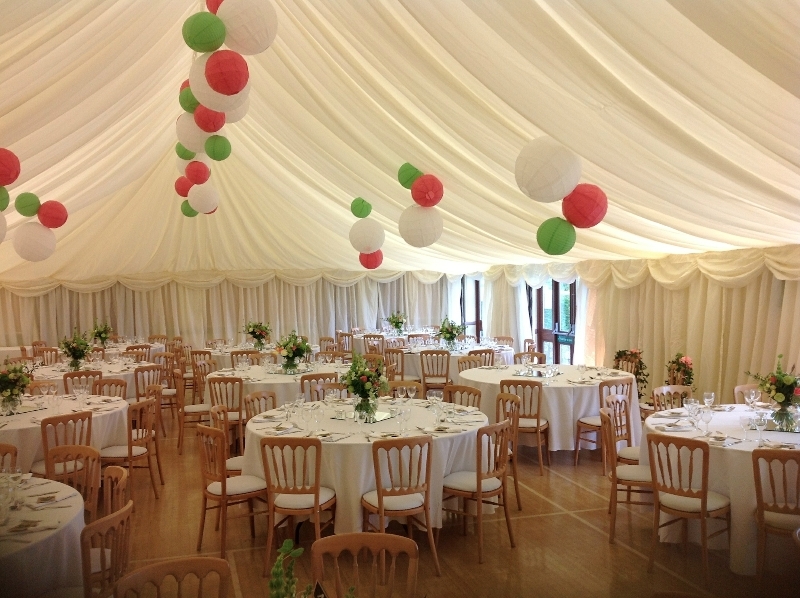 Marquee linings had been fitted by us to give a marquee style makeover to a rural village hall where I recently attended a site visit with an engaged couple, to show them what could be achieved for their wedding. 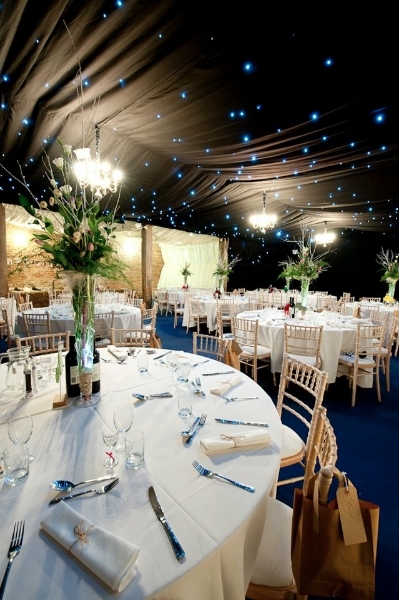 They were truly amazed at how the marquee linings had transformed the whole look of the village hall, creating the interior feel of a real wedding marquee. You can see the results in the photo on the left. 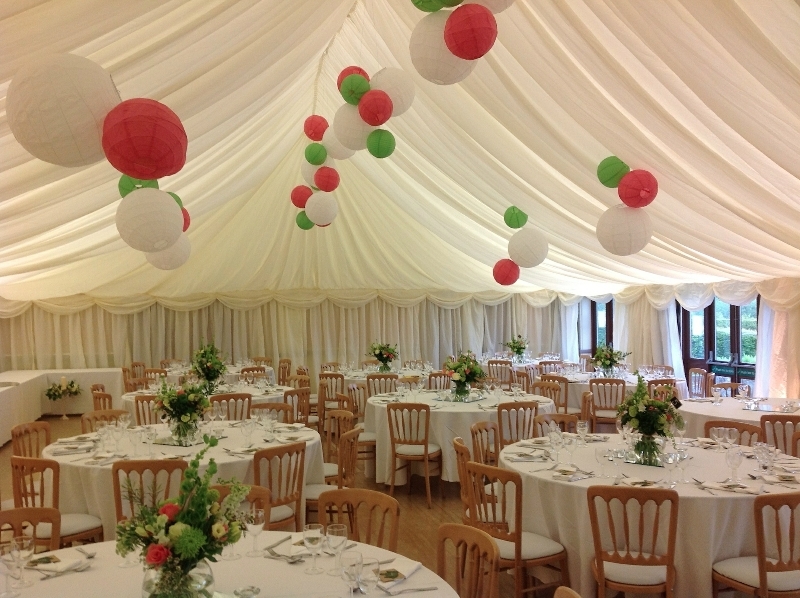 Marquee linings are an interior decorative linings option that can be used to transform any event whether it be held in a marquee or a permanent building such as a village hall, school gym or farm barn. 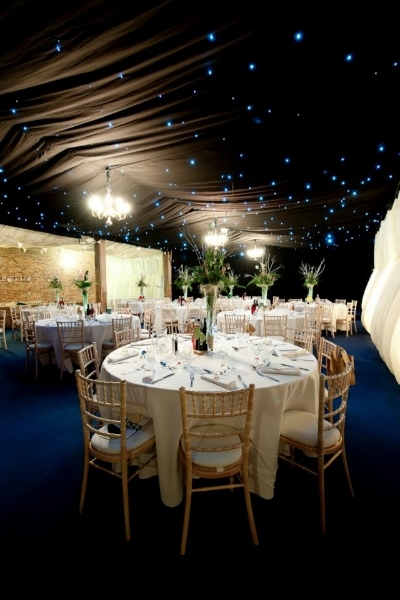 It doesn’t matter if the event is a party, a wedding or a public festival, held at night or during the day, marquee linings can be used to create effect and atmosphere to a permanent structure. A space can be revolutionised with marquee linings and turned into the perfect party venue. Take a look at these photos of a marquee linings fitting that we did at Barmbyfield Barn and you’ll see what I mean. 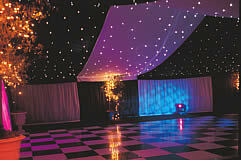 Marquee linings can be pleated, ruched or flat and colour can be added to any scheme with drapes and swags. 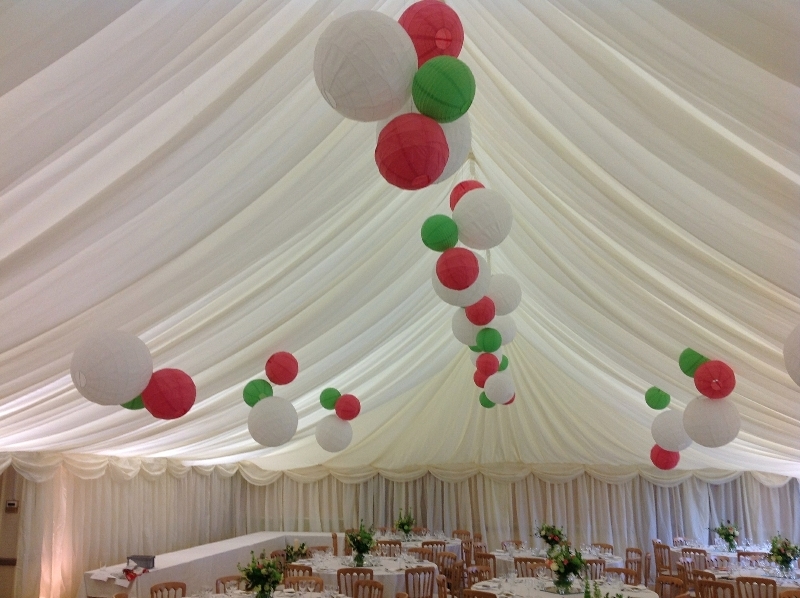 Marquee linings without decorative touches can look very clean and classy, however the use of decorative touches will add colour to any venue styling scheme. As with clear span marquee frame structures linings are modular and come in 3 metre bay widths for widths of 3 ,6,9,12 and 15 metres. 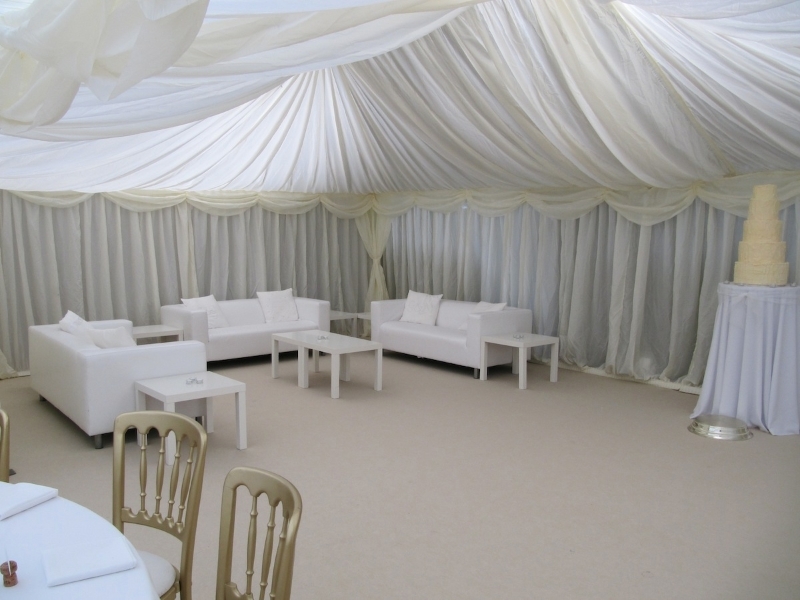 Marquee linings are available in 5 metre bays and widths of 20 and 25 metres for larger permanent structures that can benefit from a marquee effect fit out. Standard walling is for 3m bay widths with a 2.3m eave height. 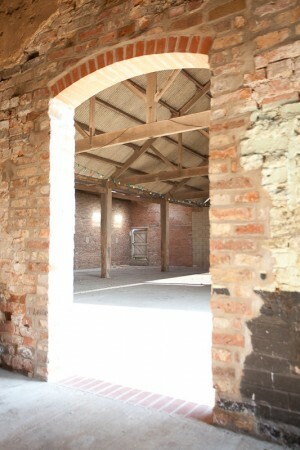 Once you have determined your venue width it is a matter of choosing how many bays at the given width. There are a multitude of different styles of swags and drapes to personalize a marquee interior including Queen and Empress swags, Horns and Tails, and Spa and X-drapes. A splash of colour can be added with roof overlays, which are very popular for Asian weddings, by sitting them on top of the marquee roof lining. 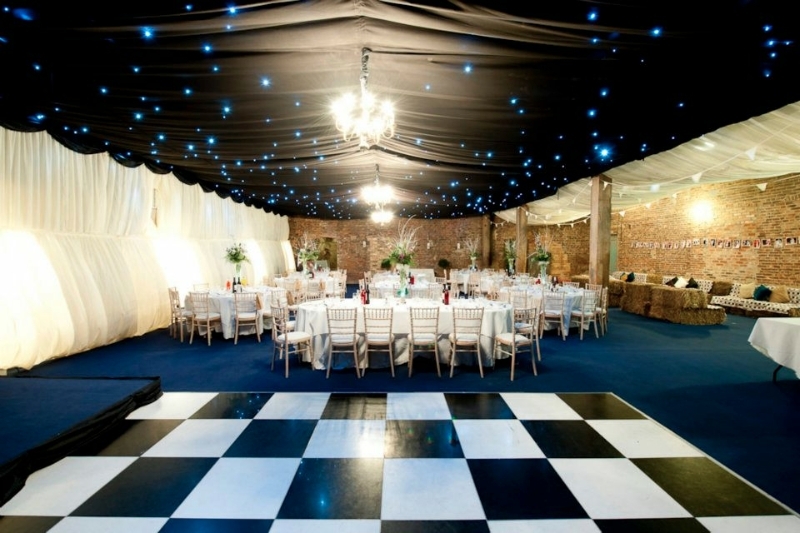 Create a night sky effect and add sparkle to your event with a starlight ceiling in black, white, ivory, blue or burgundy cloth with white or blue LED starlights. 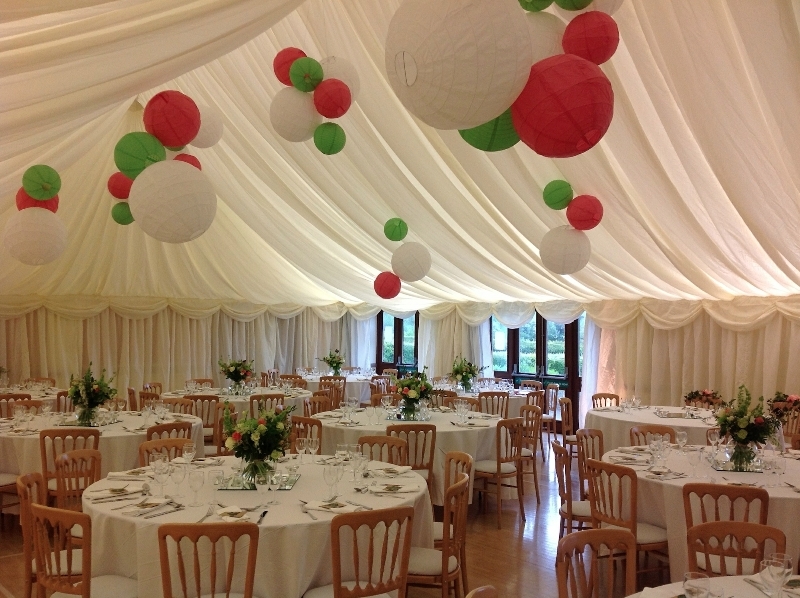 The feedback we have received from guests attending events where a permanent building has undergone a marquee linings makeover has been great . Using marquee linings as draping is instrumental in achieving the spectacular transformation of permanent buildings and taking events to the next level. 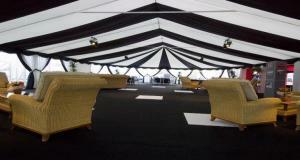 The look of a structure finished with marquee linings usually surpasses all expectations. 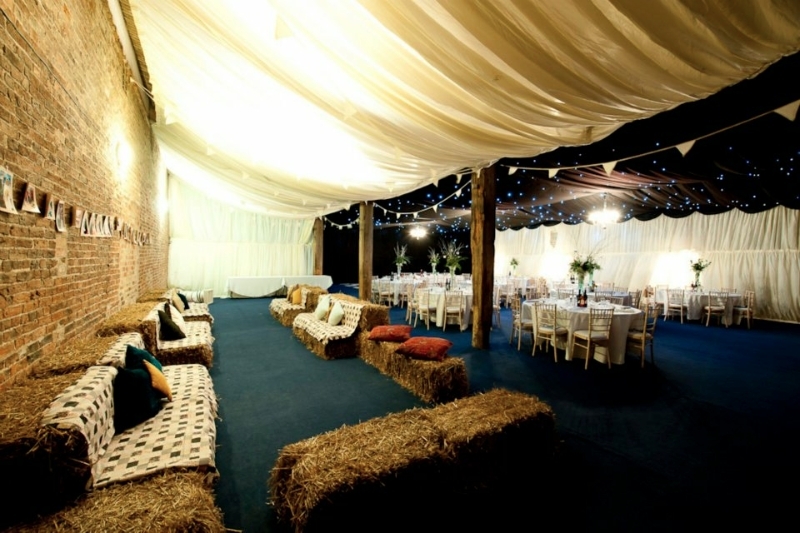 Take a look at the photos below which are of real events where C&S Marquees used marquee linings to transform a barn, village hall and a garage!